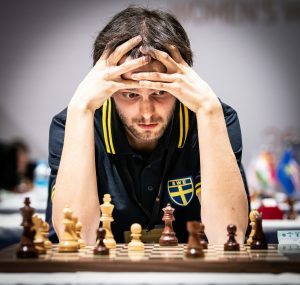 26-year-old chess grandmaster Nils Grandelius has for many years been Sweden’s no. 1. He became a chess grandmaster in 2010 and has been a regular on the Swedish national team for many years. In 2015, he won the Under 18 European Championship and the Swedish Championship, as well as the Abu Dhabi Masters. 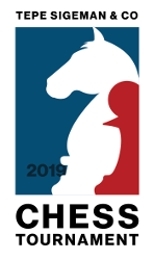 He also shared first place in the last two Tepe Sigeman Chess Tournaments (2017 and 2018). In the recently finished European Championship, he finished 2nd after Russian GM Vladislav Artemiev. When he was young, he was known for uncompromising and sometimes very risky play, but as he started playing top players at a regular basis, he gradually became more solid and also developed some impressive technical skills. He is of course looking for a similar result in this year´s tournament.